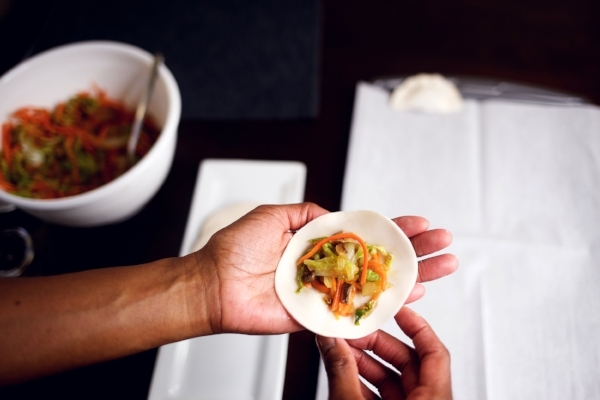 NOTE: You can also use pre-made dumpling wrappers. Slowly mix water with flour. Knead for 10min and leave in a bowl covered with a damp cloth for one hour. 1. In a large skillet (medium-high heat), add 3 tbsp of oil and add the ginger. Cook until ginger is fragrant. 3. Add the mushrooms, cabbage, and carrots and cook until tender. Transfer the cooked vegetables to a large mixing bowl and allow to cool. 4. Add the chives, white pepper, sesame oil, soy sauce, dry sherry, and sugar to the bowl. Add salt to taste. Then stir the ¼ cup of oil. 1. Cut the dough into small tablespoon sized pieces. Using a rolling pin, roll each piece into a circle. 2. 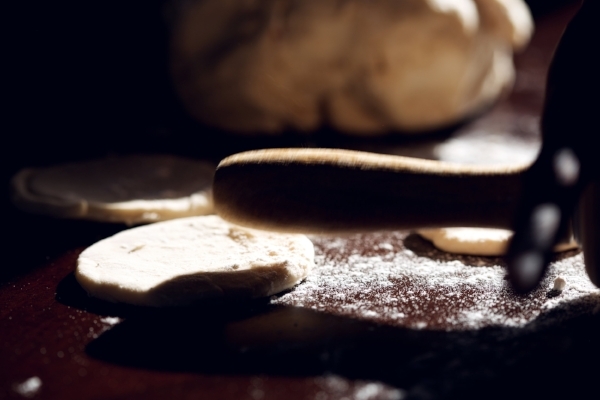 Continue this process until you run out of dough. 3. Place small spoonful of vegetable mixture into each dumpling wrapper and fold. Continue until you run out of wrappers or mixture. 4. Feel free to set aside extra dumplings and freeze for later use. NOTE: You can also steam the dumplings. For this recipe, they were pan fried. 1. Heat 2 tbsp of oil in a non-stick (or cast iron) pan over med-high heat. 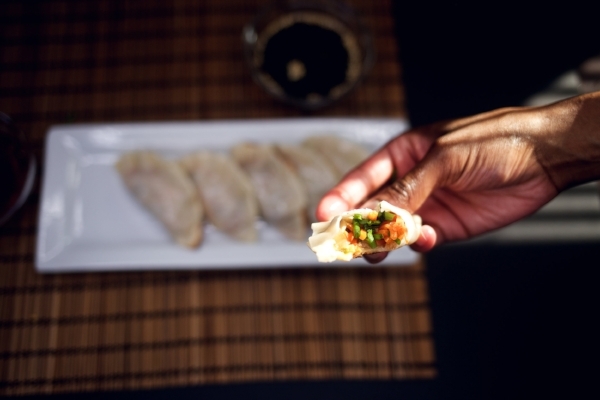 Place dumplings into pan and allow to fry for about 2 minutes. 2. Pour a thin layer of water into the pan and cover. Reduce heat to med-low. 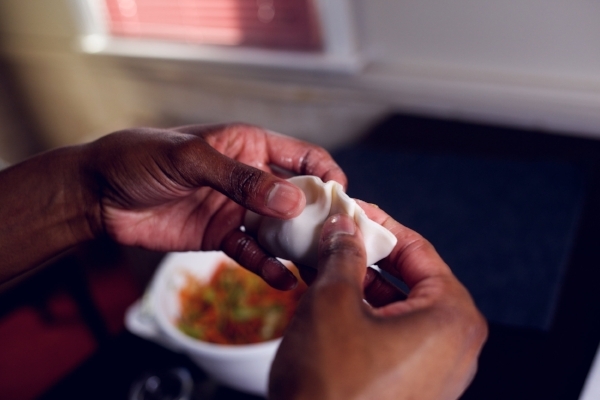 Allow the dumplings to steam until the water has evaporated. 3. Remove the cover and increase heat to med-high again. Allow to fry until the bottoms are golden brown and crisp. 4. Remove from heat and serve with the dipping sauce of your choice.